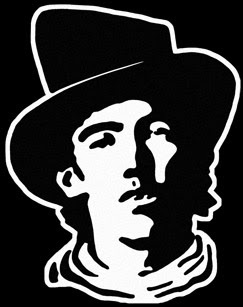 Billy the Kid on Mt. Etna, Sicily, Italy. 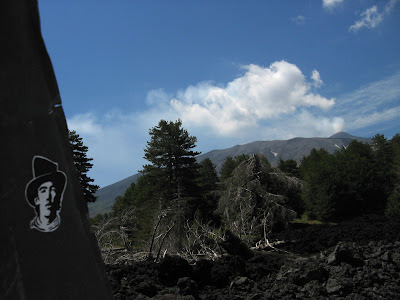 In the background, the Etna volcano. Billy the sticker was designed starting from the photo you see above. 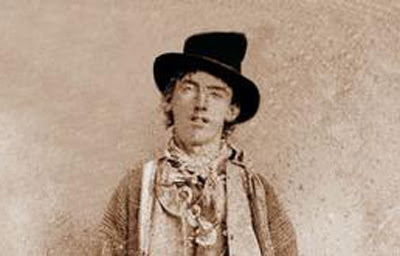 It is the only photo available of Billy the Kid. Wikipedia tells us that the photo was shot on a ferrotype and it is mirrored (click here to discover why). So, compared to the original photo, Billy the Kid's outline appears to be flipped. The sticker is indeed the right outline.